New Jersey Senator Cory Booker talks to Ellen about his relationship with actress Rosario Dawson. 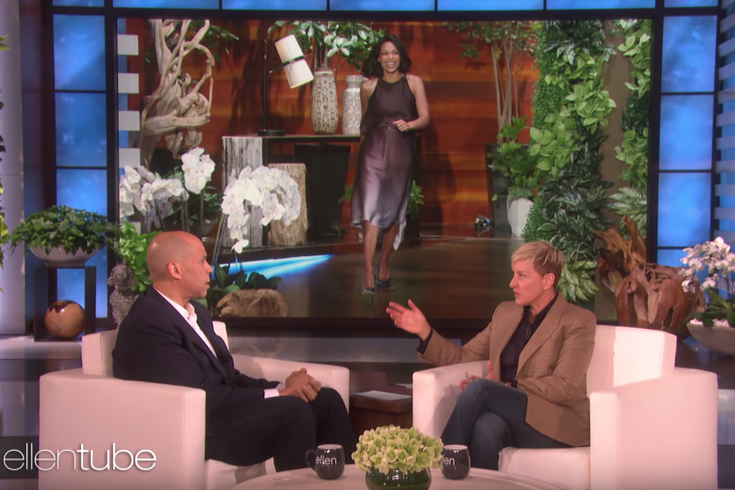 New Jersey Sen. Cory Booker appeared on "The Ellen DeGeneres Show" Wednesday afternoon. Amid their discussion on politics and Booker's run for president in 2020, the two discussed the new love of his life, Rosario Dawson. But the glow doesn't end there, he adds, “She really has this nurturing spirit that’s made me more courageous, not just in the love that I project and want to see in our country, but even in our personal relationships, to love more fearlessly." Ellen then tries to convince Booker to hold off on the wedding until 2021, so he can have the wedding at the White House. "If you go in single, and then you have a wedding in the White House - I mean, we would watch. That would be like our Royal Wedding."